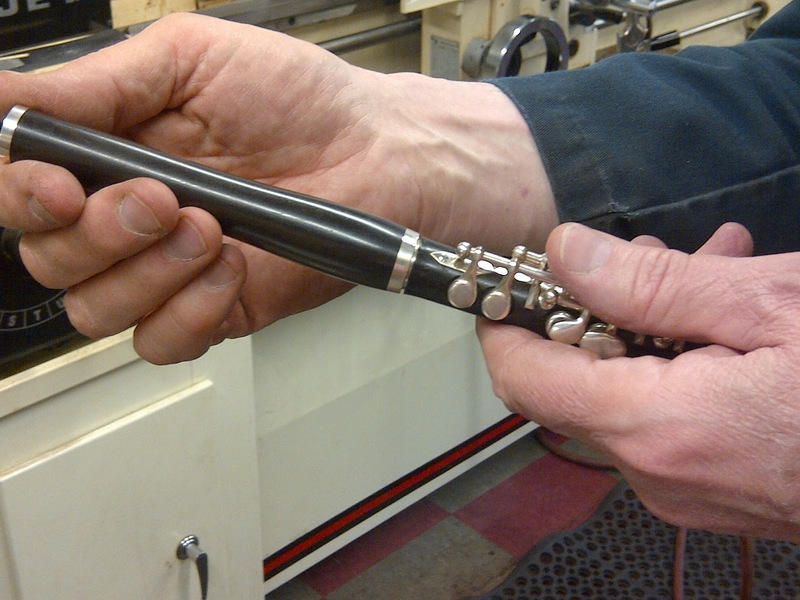 Repair My Flute: Quick Fix for a Piccolo Pop! Quick Fix for a Piccolo Pop! In a previous post, we learned that you can check if your piccolo headjoint is sealing by doing the "pop test" (follow this link to the read the previous post). But, if you don't hear a pop and feel that there might be a leak, what can you do in a quick fix? We checked with Powell's Repair Technician, Rachel Baker, to find out! The answer is actually quite simple -- cork grease! Rachel told us that you should put cork grease on the body tenon cork. The grease will help moisten up the cork and create a better seal. Definitely made sense to us as we recalled another previous post where the application of cork grease helped to solve a mysterious problem with a piccolo. The problem in that situation turned out to be a headjoint that wasn't sealing properly (click here to read that post). However, as we got more into the conversation with Rachel, she mentioned a couple of other points about the seal on a piccolo headjoint. She told us that when it comes to the seal of a piccolo headjoint, the metal fit is the most important. In fact, when she is working on piccolos, she makes sure there is a proper metal-to-metal fit and then checks the cork fit. She said the cork is actually a fail safe so that if, over time, the metal-to-metal connection does not seal properly, the cork is a backup. In fact, she even demonstrated this with a piccolo at her bench -- which did not have a cork because a new cork was going to be put on the tenon. She showed us that even without the cork, the headjoint was sealing, and we could certainly feel it! So, if you are having issues with your piccolo, don't forget about the headjoint -- and cork grease. It's a "quick fix" but actually might have more longevity than you'd expect! Piccolo from Rachel's bench that did not have a cork -- yet. Metal-to-metal seal is the most important. 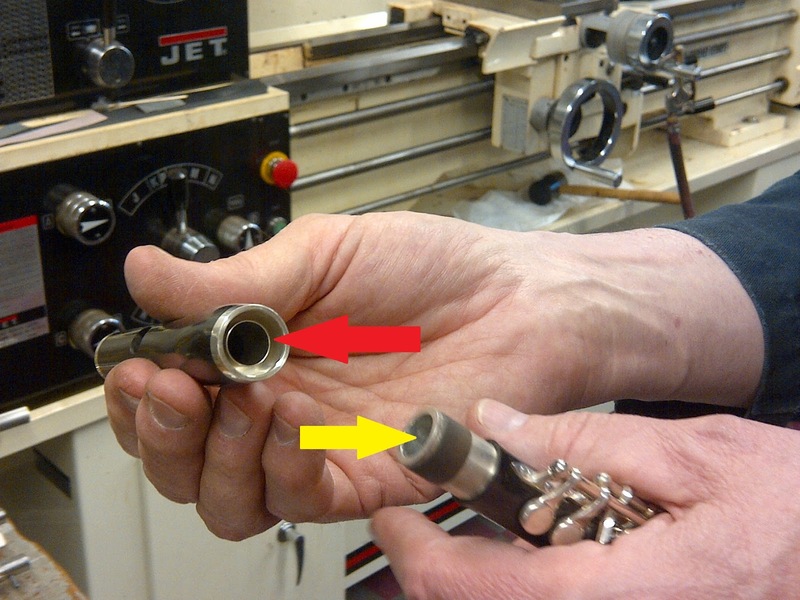 Red arrow points to the inner ring that goes inside the top of the tenon (yellow arrow pointing to where inner ring goes). The top of the body tenon will then fit into the headjoint between the headjoint's inner and outer rings.